We have so many great DSP papers available I decided it was time to try and use some of them. 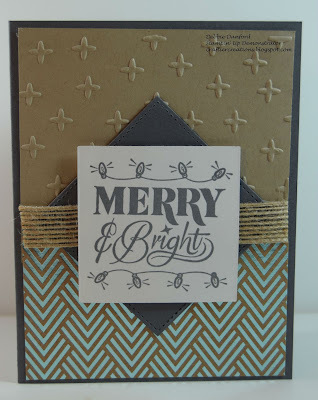 So today I am showing a Christmas card with the Foil Frenzy DSP. 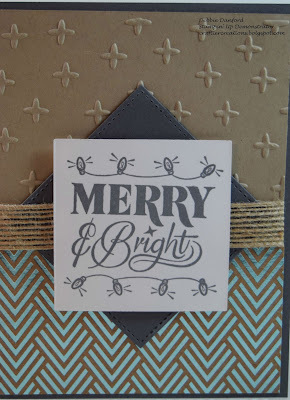 I embossed the Crumb cake with the Sparkle embossing folder and layered it with the DSP. 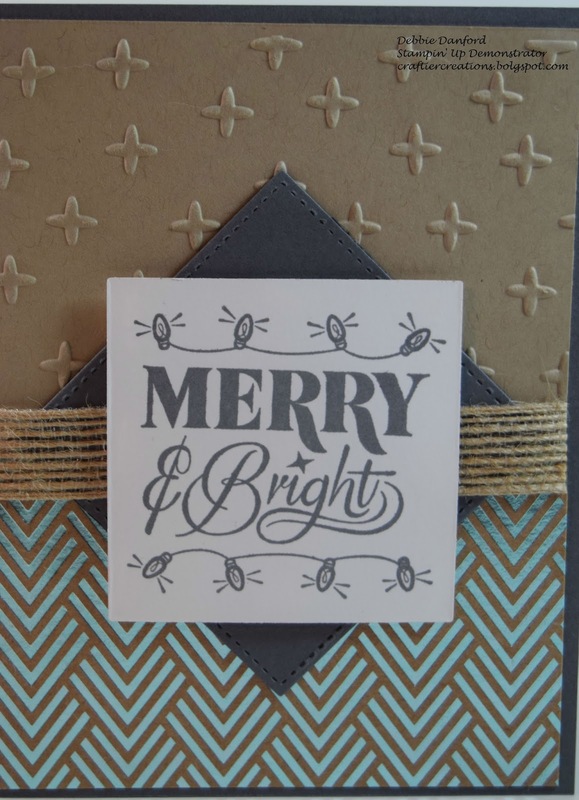 Stamp the Merry & Bright in Basic Grey and die cut with the Layering Squares. From the Stitched Shapes Framelits die cut a square out of Smokey Slate. 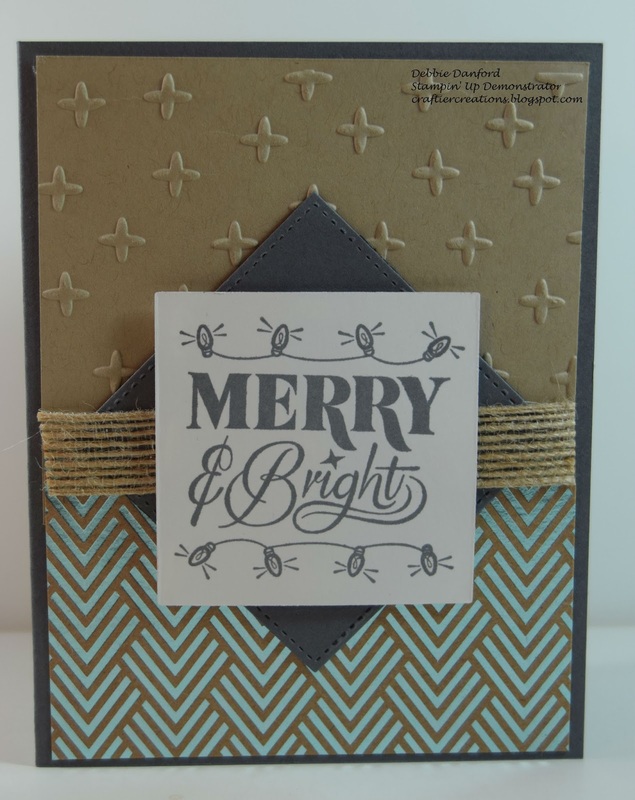 Attach the Smokey Slate piece, then the Burlap Ribbon, then add dimensionals to the Merry & Bright. Although you can't tell, I also used Clear Wink of Stella on the light bulbs.